Baking flat bread in a vertical oven is a baking method that has been used for millennia across the Middle East and the Mediterranean. The method involves rolling out a flat sheet of dough and then sticking it onto the inside wall of a clay or stone oven in the center of which there is fire. 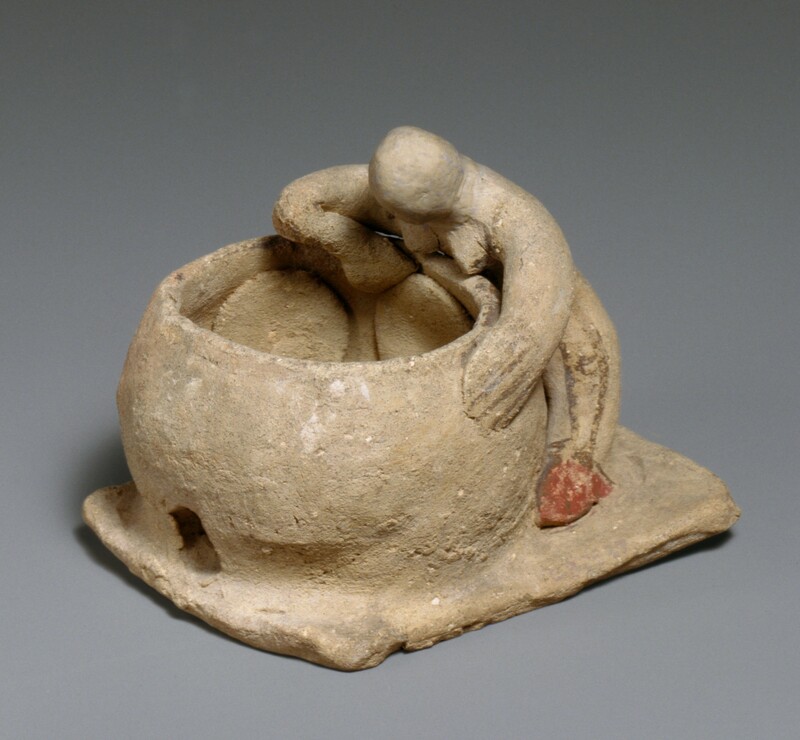 Terracotta figurine of a woman baking flat bread in a vertical oven from Cyprus. Cypro-Archaic II Period (600-480 BCE). Metropolitan Museum of Art, 74.51.1755. This method is still used today for baking flat bread in many cultures. The video below shows women in Yerevan, Armenia baking the Caucasus traditional flat bread, Lavash, using this method. Pasqualone, Antonella. “Traditional flat breads spread from the Fertile Crescent: productive process and history of baking systems.” Journal of Ethnic Foods 5 (2018). pp. 10-19. Hey Buddy!, I found this information for you: "Ancient Method of Baking Flat Bread in a Vertical Oven". Here is the website link: http://www.ancientrecipes.org/ancient-method-of-baking-flat-bread-in-a-vertical-oven/. Thank you.